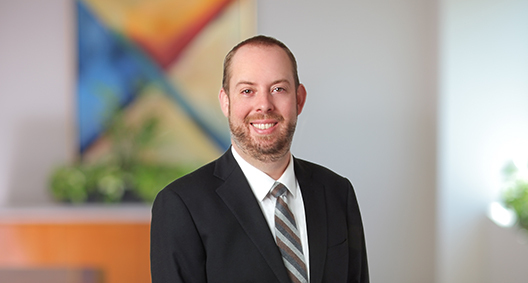 Kyle Cutts focuses primarily on appellate litigation, motions practice, and trial strategy in state and federal courts. His experience spans many areas of law, including consumer class actions, commercial contract disputes and antitrust matters. He also maintains an active pro bono practice. Kyle previously served as a law clerk for the Honorable Jay S. Bybee of the Ninth Circuit Court of Appeals. Prior to attending law school, he worked in Silicon Valley and in Hyderabad, India, for Google Inc. He also served as a Fulbright Scholar in Hamburg, Germany. Drafted a successful motion to dismiss a multi-count complaint asserting breach-of-warranty and negligence theories. Also drafted the briefing before the Fifth Circuit Court of Appeals, which affirmed the dismissal. Recently argued before the Seventh Circuit Court of Appeals in a case involving a dismissed petition for habeas corpus relief. Defended a leading home-goods manufacturer against a series of putative class actions in which plaintiffs alleged the manufacture and sale of failure-prone component parts. Successfully defended a client against the FTC in an antitrust merger challenge. Represented a department store chain against a competitor for tortious interference with a license agreement. Representing a prisoner appealing the dismissal of his federal habeas petition. Successfully obtained asylum for an individual fleeing persecution in central Africa.